Bed and breakfasts are a cost-effective alternative to expensive hotels, but that doesn’t mean you can’t save even more money when booking them. Below, we’ve put together five top tips for saving money on your next bed and breakfast stay. Price comparison sites aren’t only for homeowners and meerkats – you can save a lot of money on your bed and breakfast by booking through a price comparison website such as Toprooms. On these websites, you’ll be able to peruse hotels in your chosen destination, see which is the cheapest and even compare features such as free Wi-Fi, parking, ironing and baby listening facilities. Many of these hotels offer exclusive rates to compete with other bed and breakfasts, so it makes sense to check the prices here before booking. “If you don’t ask, you don’t get” – and that certainly rings true when it comes to getting a discount on your accommodation this year. If you want to save money on your bed and breakfast, then ask your hotelier if they’re running any special offers, or if they can knock anything off the final price. You could even play hotels against each other and say that you’ll book elsewhere as they’re offering a cheaper rate to see what they’ll do. In the good old days, families would travel to their favourite seaside destination in their car, and then drive the streets trying to find a bed and breakfast that had vacancies. Nowadays, with the internet, it’s easy to find a hotel wherever you want to be at a moment’s notice, but booking in advance is still the best option. Some hoteliers may even offer a discount if you book your summer break in the winter, so call ahead and book your stay. 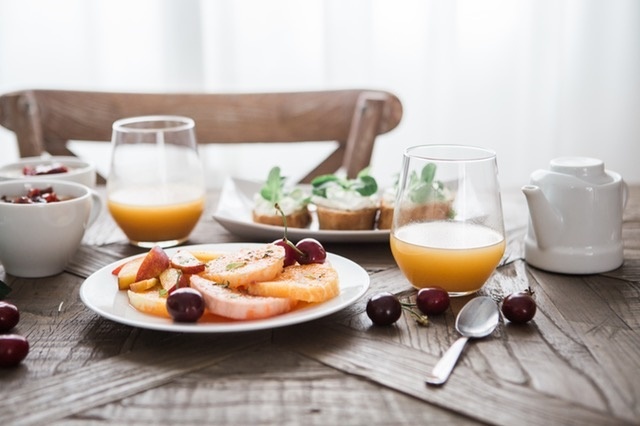 Like hotels, bed and breakfast owners most commonly charge on a per-room basis and sometimes ask for a supplement for additional breakfasts. If you’re travelling with friends and family members, then it makes sense to opt for a family room rather than several separate rooms to save money. Doing so can also be great fun – just find out who’s a snorer before you book your room so that you can be certain you’ll have a good night’s sleep! There you have it – five top tips for saving money on your next bed and breakfast stay. Whether you’re travelling for business or pleasure, have a great time!